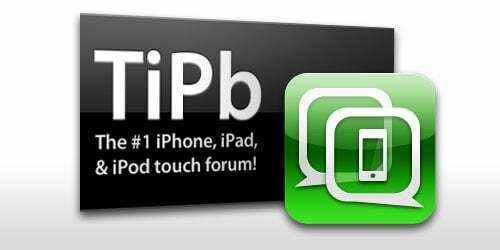 From the Forums is a great way to see all of the hot topics in our iPhone and iPad forums. In order to create a new thread of your own or reply to any of the existing threads, you must be a registered member. Becoming a member is a simple process that will only take a few minutes out of your day, so if you have not already already done so, head on over and register now! TiPb's curious -- how do you use the iPhone for your job? Participate in this thread for your chance to win a iTunes gift card! So the latest carrier rumor is that iPhone will be available on the Sprint network, what are your thoughts on this? iPhone HD/iPhone 4G pricing... let us know what you think the price points will be! Want to discuss all of the latest jailbreak apps that's available? Found a new app you'd like to share? This is the place to do it - Jailbreak Apps, Games, and Themes.